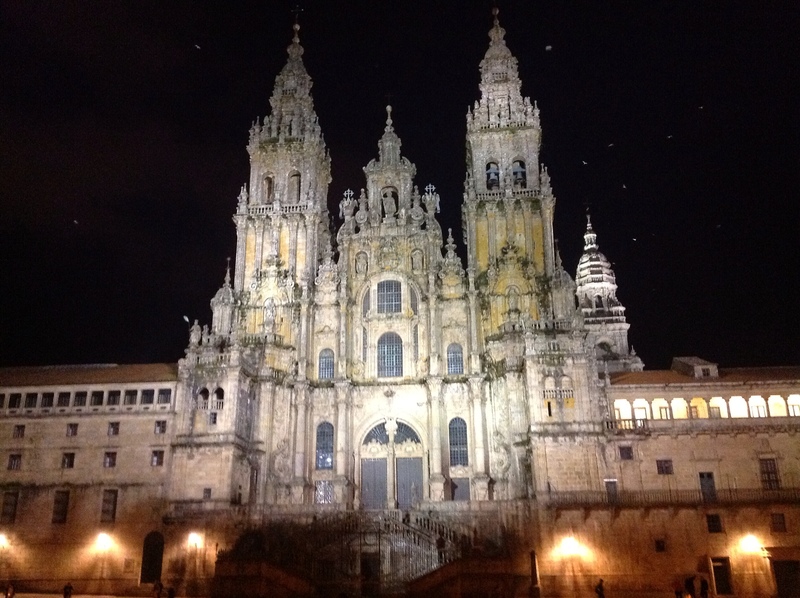 15 incredible days on the Camino, we have arrived in Santiago. I cannot describe the feeling that consumed me when I stood in the plaza and looked up at the gorgeous piece of architecture that is the facade of the Cathedral de Santiago. At first, I was a little bit relieved, because after 15 days of walking, my joints were killing me. However, that feeling quickly changed to sadness, because this journey has been one of the most fun and exciting things of my entire life. I have met so many interesting people and learned so much about many different cultures of the world, and I do not think I am ready to finish this amazing experience. I think the majority of pilgrims feel this way when they finish. It is a sense of relief, but also a sense of loss, because although the Camino is about reaching a destination, it is also about the path itself. This is evident in the relationships built while on the trail, because meeting people and talking to people really opens your eyes to a whole new world, one you could not see anywhere else but on the Camino. 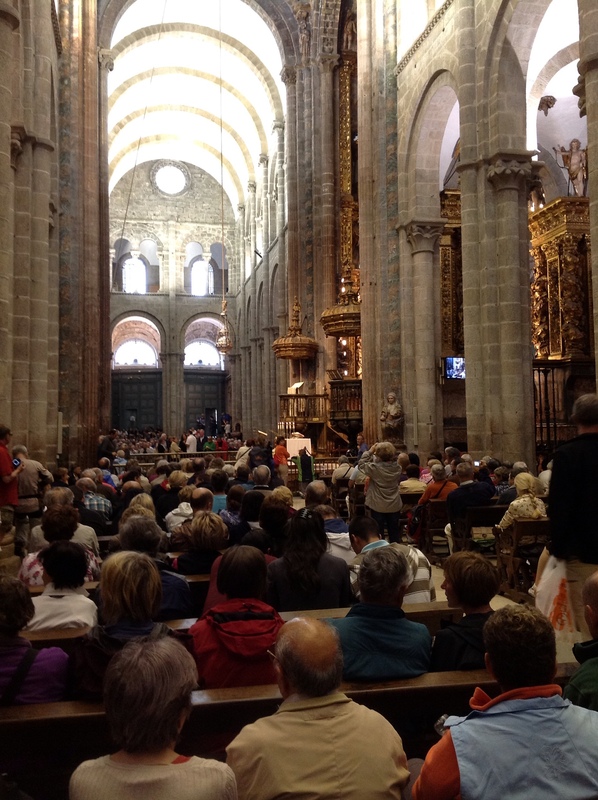 When pilgrims reunited in the cathedral, you could feel the love and the emotion in the air, and it was incredible to be a part of such an intense and deep community, because nowhere else have I seen complete strangers embrace each other like they were family. 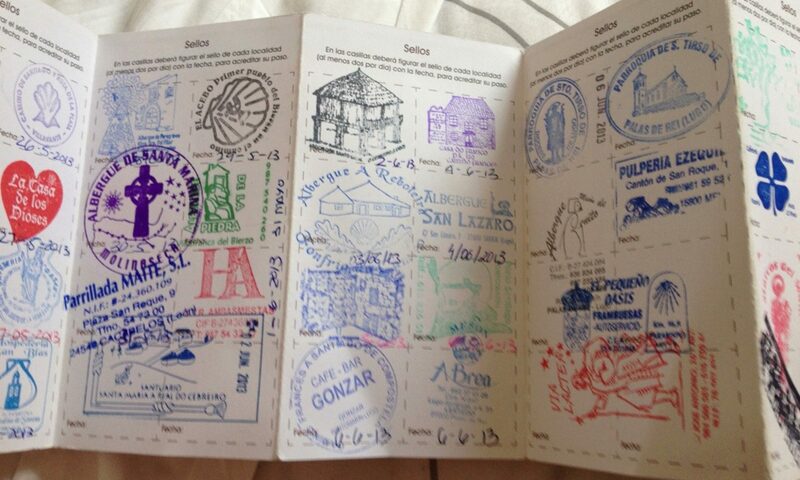 I think that is the most amazing part about the Camino and reaching Santiago. Although the journey is over, the relationships are not, and the feelings built on the Camino I know will last a lifetime. Ellie, glad your home safe and had such a wonderful experience. Miss you and proud of you!